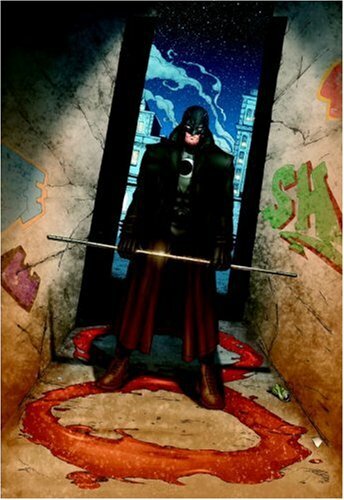 Here are another three stories about Midnighter. You know they won’t be as mind-breaking as the Brian K Vaughan masterpiece from the previous book but Giffen is getting used to Midnighter. He is also becoming quite adept at sneaking The Authority in through the back door. Be aware in these last two volumes the story order has been moved to make TPB issuing easier but these one shots don’t affect continuity too much. We get another dose of Midnighter and sidekick in Harmony and are presented with a good point to close that storyline. There is an extended fight scene but its mute panels and expert choice of palette elevate it above mere padding. The two standalones are good insights into the Midnighter’s character but could have been done in less than 22 pages each. These would appear to be stopgaps before Giffen came aboard. The art is good for the main story, ok, for the last but one of them is completely different from anything previous. The Authority and now Midnighter have always had clean, sharp, full-colour art. The subdued palette and humongous black lines of something like a Vertigo book are definitely inappropriate. Which is a shame as that story has some good character development. This entry was posted in Graphic Novel and tagged Keith Giffen, Thumbs Up! by 365gn. Bookmark the permalink.